Very few of us can ever say we are the absolute best at something; it takes a rare skill level along with a relentless work ethic. For those who make it, they’ll be the first to tell you it isn’t easy. After years of hard work, Matt Anderson, a long time ClubLink Academy student, can finally call himself the best. 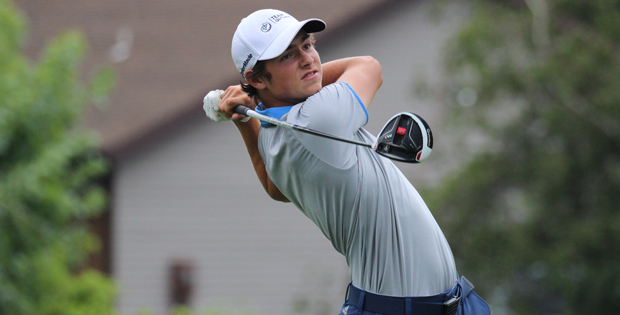 At the Canadian Junior Boys Championship in Medicine Hat, Alberta, Anderson put together rounds of 71, 72, 75 & 68 to grab a T6, and as a result rise to the #1 ranking for Canadian Junior Boys. Alf Callowhill has been Anderson’s instructor for roughly eight years, and couldn’t be more pleased with the progress he has seen in his student. Another big change that helped catapult Anderson’s game was his confidence boost. Callowhill always knew that his student had what it took to be great – it just took Anderson some time to believe it too. With a fantastic junior career coming to a close, Anderson is planning on taking his game to the NCAA level. Anderson has committed to the University of San Francisco and will be looking to dominate the collegiate level, much like he did in the Canadian junior golf circuit. Callowhill doesn’t see his student slowing down any time soon. With Anderson off to school, Callowhill will be looking to help his other students reach their potential, much like he did with Anderson. Anderson is a wonderful example of how dedication and hard work can flourish inside the highly structured teaching worlds at Glen Abbey and RattleSnake Point. It will be exciting to see which ClubLink Academy students follow in Anderson’s footsteps on their path to becoming the next #1 junior golfer in Canada.